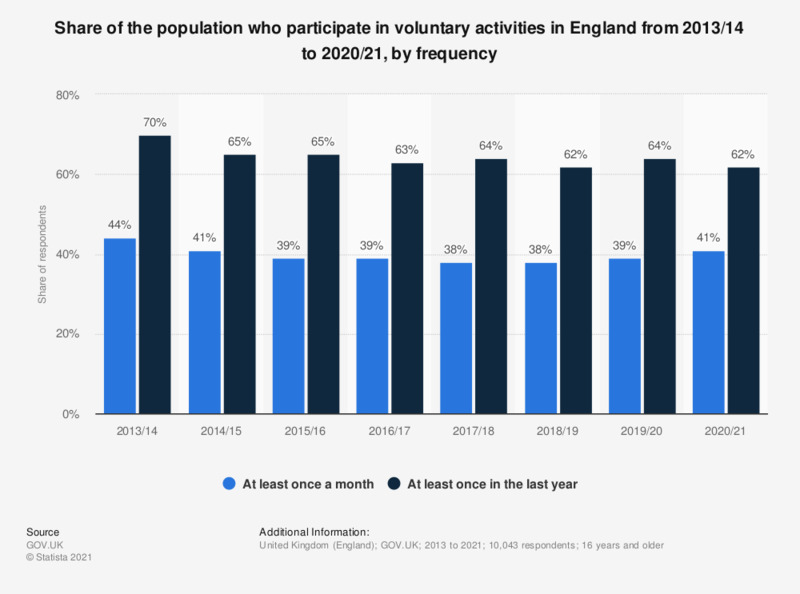 This statistic shows the share of respondents in England that reported participating in voluntary activities from 2013/14 to 2017/18, by frequency. Volunteering was defined in two ways - 'formal' and 'informal', the former being when a person gives unpaid help to groups, clubs or organizations and the latter being when this help is given to people (who are not relatives). In the most recent survey, 64 percent of respondents advised that they had volunteered at least once the last year.